• Schnoodle dog breeders are listed below alphabetically by State / city. 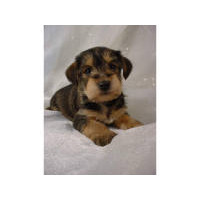 • Click on underlined words to find Schnoodle puppies for sale. • Please tell the Schnoodle dog breeders with puppies for sale that you found them on BreedersClub.net. The Schnoodle is a mix breed, a Poodle and Schnauzer cross. Schnoodles are known to be intelligent, people oriented, affectionate and obedient with a good amount of energy. Their coats can vary from rough to soft and come in a wide variety of colors and shed very little. They love to exercise and play and make wonderful companion pets. Skyview Kennel has raised cute, healthy, adorable, people-friendly puppies for over 45+ years and am proud of the unconditional love our puppies share with their new families. Puppies will be current on vaccinations/wormings, registered, microchipped, taken for puppy physicals with our veterinarian, pre spoiled and raised with love and tender care. Licensed with the State of Kansas, and a member of Professional Pet Association. I have been breeding these puppies for over 12 years. I offer puppies that make wonderful pets and companions. The average weight when grown is 10 to 15 lbs. They are very intelligent, nonshedding, hypoallergenic, with a sweet disposition. All parents are either AKC or CKC registered. My puppies are FIRST GENERATION. They have a one -year health guarantee against life threatening genetic conditions. They are family raised, with much socialization, up to date on vaccines, wormings, and will be vet checked before going to their new homes. The puppies will have ConKC (Continental Kennel Club) registration papers. I look forward to placing my puppies in loving homes, and will accept deposits at anytime. DEPOSITS ARE NON-REFUNDABLE. You are welcome to contact me by phone, or email, for more information, and appointments. Description: The Schnoodle is a mix breed, a Poodle and Schnauzer cross. Schnoodles are known to be intelligent, people oriented, affectionate and obedient with a good amount of energy. Their coats can vary from rough to soft and come in a wide variety of colors and shed very little. They love to exercise and play and make wonderful companion pets. Additional details: this breed is not yet standardized as far as height, weight, colors, etc. This breed directory page features Schnoodle dog breeders with puppies and/or adult dogs for sale. Once you purchase your new found friend, you will want to provide it the best in pet health care. Be sure to visit our online discount pet supplies catalog and order NuVet Plus™ to keep your puppy and adult dogs in top condition. The discount catalog also features collars, leashes, carriers, general pet care products and much more. BreedersClub.net does not pre-screen the Schnoodle dog breeders who advertise their puppies and dogs for sale in the BreedersClub.net breeder directory and in the classified ads. We require all advertisers to agree to our advertising terms. You should ask the Schnoodle dog breeders you talk with for references from past buyers and veterinarians.